The Kufstein region in the Tirolean Unterland offers a large range of outdoor activities. The region is an eldorado for mountain lovers due to the imposing Kaiser mountains. Cultural enthusiasts get their money’s worth in one of the top-class cultural events. There are also many traditional celebrations in the Kufstein region, where locally produced handicrafts are sustainably promoted and preserved. The Kufstein town and its eight surrounding villages of Bad Häring, Schwoich, Langkampfen, Thiersee, Ebbs, Niederndorferberg Niederndorf and Erl are very diverse. They are all popular for different reasons: a source for health, a Haflinger stud, an adventure park and much more. They all guarantee diversity and individuality! A good way to learn more about the versatile programme of the region is the “guest program” of the Kufstein region tourism association. It provides many free events around the topics nature, health, culture and pleasure – both in summer and winter. Visiting the Kaiser mountains! The Kufstein region, nestled in the Zahmen and Kaiser mountains, is the Eastern entrance to the Tirolean Alps. Being on the summit and enjoying the breathtaking views over the Inntal valley guarantees a memorable experience! 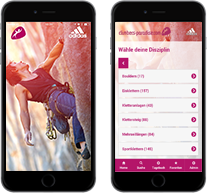 Climbers will definitely get their money’s worth – with more than 40 tours through the Kaiser mountains in all difficulty levels. There are several family-friendly or more challenging climbing gardens, adventurous via ferratas as well as interesting multi pitch routes in the Sparchen climbing area. If you prefer it the comfortable way, take the Kaiserlift cable car to get from Kufstein into the Kaiser mountains or hike through the idyllic Kaisertal valley. The Kaisertal valley was voted as Austria’s most beautiful place in 2016. Biking, running, walking – being active! The region is an paradise for bikers and hikers. It has a lot to offer: from easy routes through the valley to demanding mountain bike trails. The Kufstein region offers a wide route network for road cyclists. You can also participate in the bike marathon of the Kufstein region which first took place in 2016. There are also many attractive side events at the marathon! If you’re craving for more, you can cycle on one of two long-distance cycle routes which lead through the region. The Kufstein area is also part of the world’s biggest e-bike region „Kitzbüheler Alpen – Kaisergebirge“. It combines 45 villages in the Tirolean Unterland and awaits with a route network of more than 1.000km. More than 300 e-bikes are available for rent. Charging stations are accessible region-wide. Last but not least, the Kufstein region is considered as one of the biggest running and nordic walking regions in Tirol. It provides a route network of more than 300km. Cooling down when it’s getting hot! Taking a bath is an essential part of a relaxing summer holiday. There are 12 possibilities for cooling down. The six natural lakes, Thiersee, Hechtsee, Stimmersee, Pfrillsee, Längsee and Bananensee, are idyllically located amongst the mountains and provide a superb water quality. You can also try out stand-up paddling. Another recommendation is to visit one of the six adventure or wellness baths in the region. The greatest happiness on earth... …is sitting in the saddle of a horse – or in one of the horse studs in the Kufstein region. If you love riding horses, you won’t find a better way of experiencing the region. Surrounded by a beautiful mountain backdrop, you ride through fields and forests. It is sure to be a memorable experience! A special recommendation is the Haflinger stud in Ebbs, the oldest Haflinger stud in the world. It’s definitely worth a visit! You can also take a horse-drawn carriage to discover the Kufstein region!